For a life book class we had to try a guided mediation which felt a bit odd if I'm being honest. It was about being grounded and the symbol that was used was stepping in to a tree and feeling strong and at one with the world. 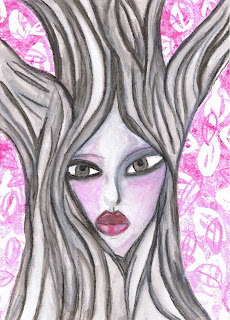 After the mediation I made a quick sketch and of a face within a tree, when I got around to it I made tree lady! 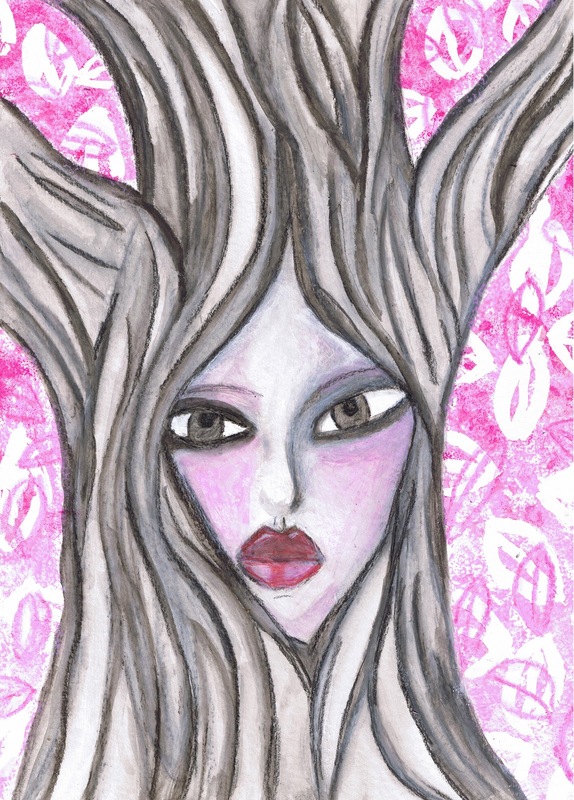 She’s has been made using only two colours, back and pink,(bit of white gesso is hiding in there but o don’t think that counts). That was also a prompt from life book I just smashed the two together. I'm not overly found of the drawing/[painting but I did enjoy the whole process and it something I wouldn’t have come up with without the mediation so I might be looking in to trying a few more guided meditations.